Traditionally, invitations go out 6-8 weeks before the wedding to give guests plenty of time to clear their schedules and make travel arrangements if they don't live in town. If it's a destination wedding, give guests more time and send them out e months ahead of time. Most couples also send out save-the-date cards. They go out at 6-8 months. Where do we include information about our wedding website? Where do you put the return address on wedding invitations? Can we include our registry info on our invitations or save-the-dates? In a word, no. Including registry info on the wedding invitations or save-the-dates is still considered impolite because it can come off as though you're asking for gifts. Go ahead and put your registry info directly on your wedding website. How do we let guests know our dress code? 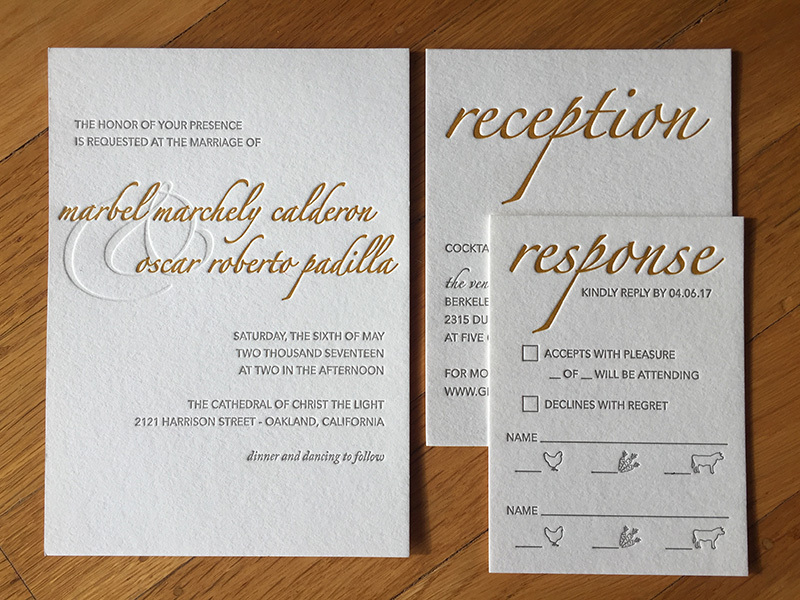 The easiest way to get your point across is to include a dress code in the lower right-hand corner of the invite or on a reception card. "Black tie," "cocktail attire" or "casual attire" are all acceptable. Your invitation design will also clue guests in. Another way is to direct guests to your wedding website, where you can go into more detail about the weekend events and dress code in a more informal forum. Do we have to invite every guest with a date or a "plus-one"? These rules are not written in stone though, so do things your way.